VeraCrypt allows you to set system wide shortcuts, e.g. for auto mounting images, but first you need to set them. Here is how. Once you have set shortcut keys for those actions, they'll work in any application. Note that VeraCrypt Background Task has to be running in order to global actions to work. VeraCrypt is successor of popular encryption tool TrueCrypt. This powerful encryption tool allows you to encrypt files, partitions or even entire drives. 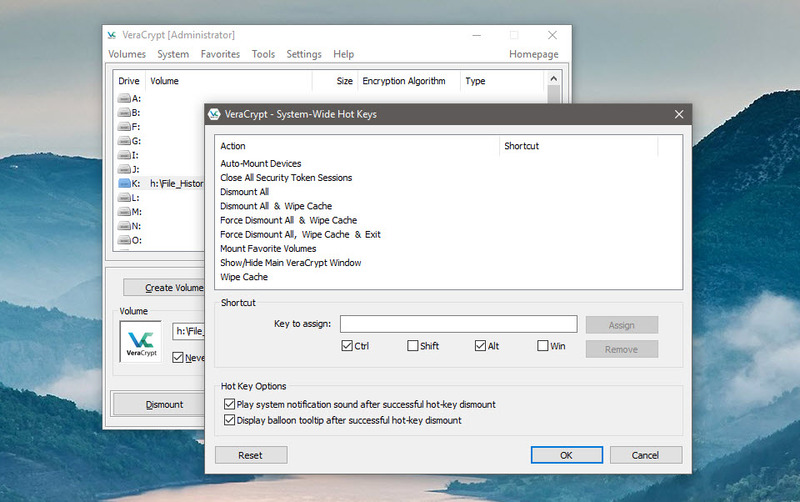 What is your favorite VeraCrypt hotkey? Do you have any useful tips for program? Let other users know below.